Kennedy paddle boats are unique in comfort and design. 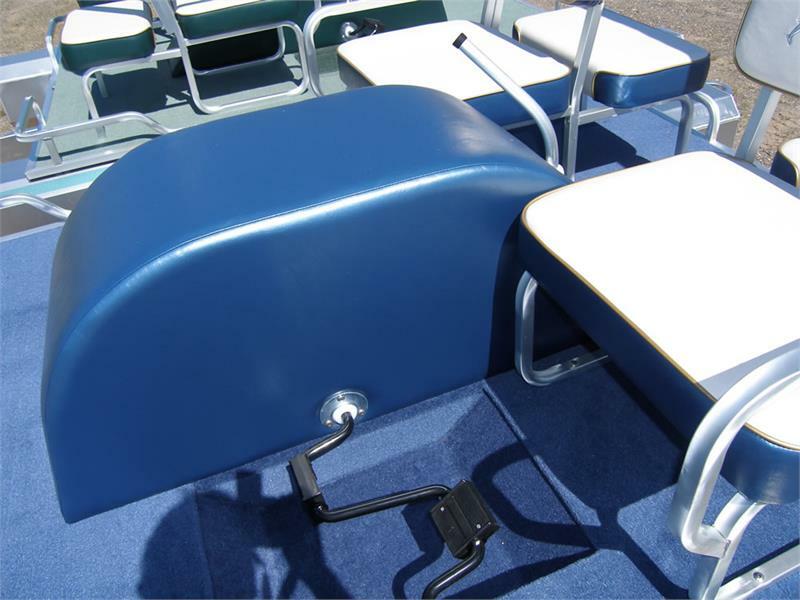 They could be more accurately called “Peddle Pontoons” because of their stable and roomy deck and upholstered seating. They are totally self-draining and will not “pocket” water as plastic paddle boats often do. Getting on and off of these paddle boats is very easy because of the “walk-around” deck design. With almost 50 square feet of carpeted deck area, there can be room for sun tanning, diving or fishing. Propulsion is provided by a direct-drive all-aluminum paddle wheel which is enclosed in an upholstered aluminum wheel housing. The steering system is also constructed of long lasting aluminum components. 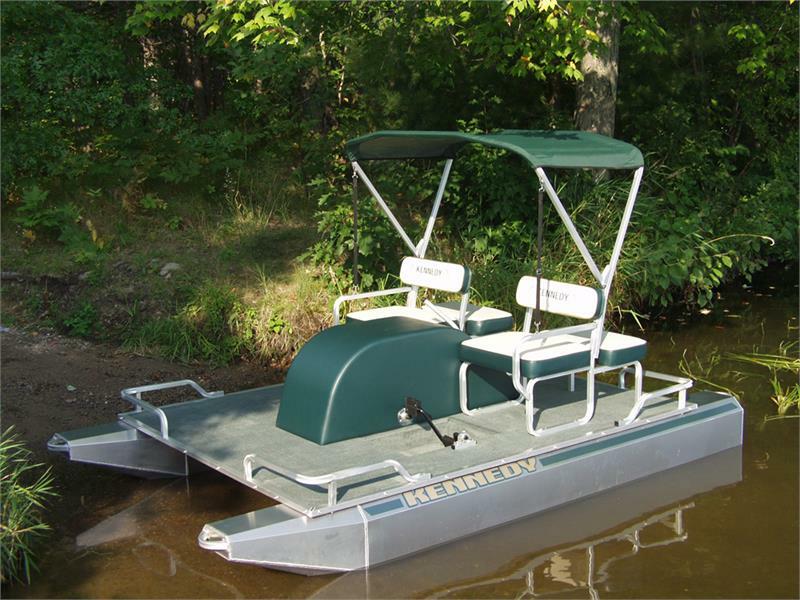 Kennedy Paddle Boats are protected by a two-year limited warranty against defects in workmanship. Warranty is from the date of original purchase for non-commercial use. 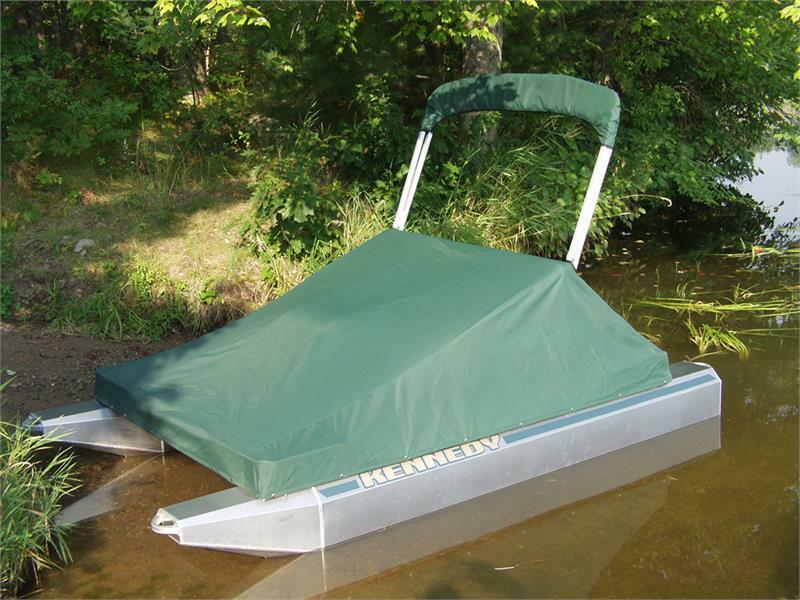 Many materials and components utilized in our production process are produced by companies other than Kennedy Pontoons, Inc. 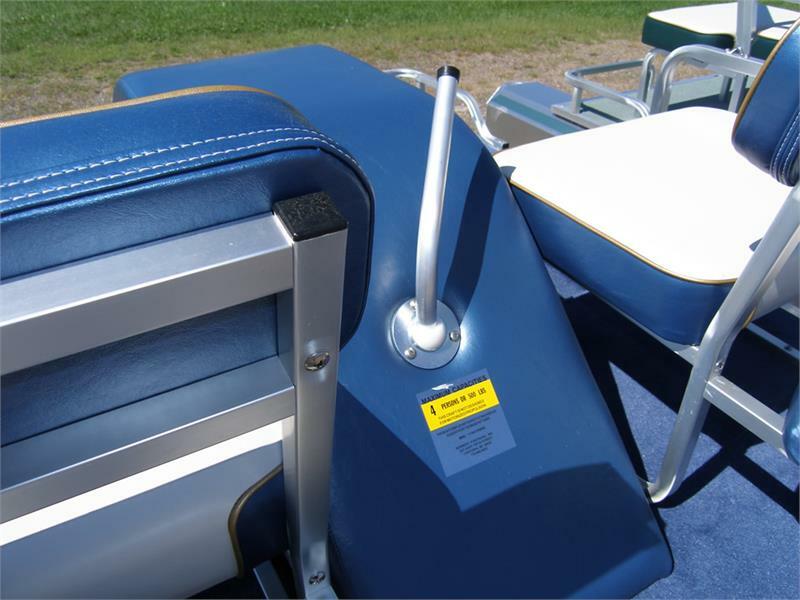 These components include, but are not limited to: plywood decking, seat vinyl, carpet, sun top materials, decals, etc. Warranties provided by outside suppliers vary in terms and length. “XL Plydeck” marine plywood is backed by a limited lifetime warranty. Color Matched snap - on mooring cover.